1. 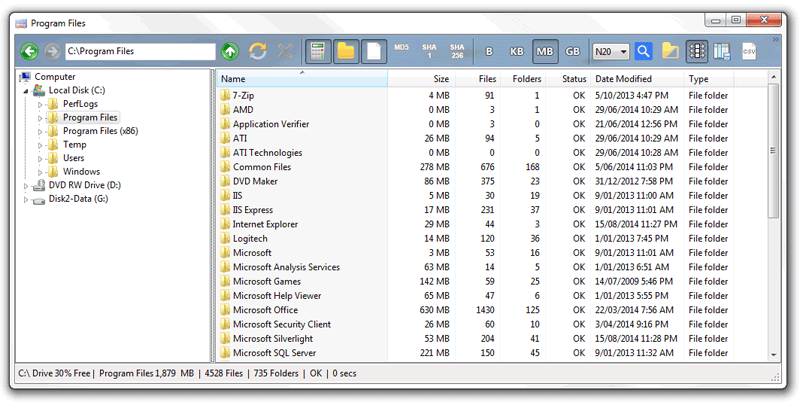 Download Folder Size Explorer. Open it and run "setup.exe". You should see the screenshot below. Click next a few times accepting the defaults to complete the installation. A shortcut will be created on your desktop. 2. 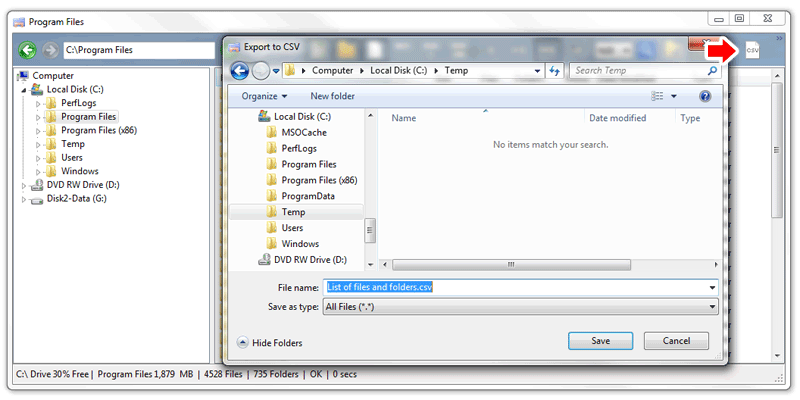 Run Folder Size Explorer and select the folder whose contents you wish to save to excel as shown in the screenshot below. You should sort the columns as you would like them to appear in Excel before you export the list. 3. Click the csv icon on the toolbar, select the destination directory, type in the filename and then click the save button to create the .csv file. 4. 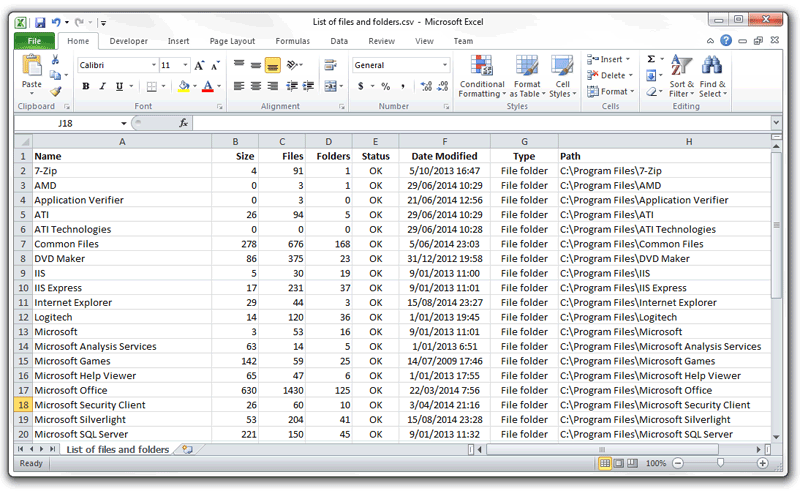 Start Excel, click file then open from the menu and locate the file you just created above. Once the file has been opened you should see the list of files and folders including the full file paths as shown in the screenshot below. That's pretty much it. There's really not much to it. Please note that a csv file can be opened in any version of Microsoft Excel. Also a .csv file is nothing more than a normal text file (.txt) so it can be opened by any app that can read text files such as Notepad, Word, WordPad etc. 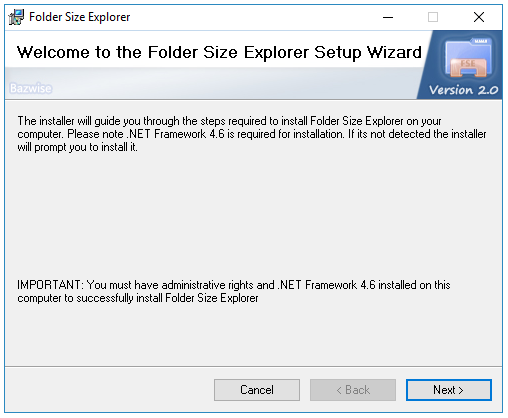 Folder Size Explorer is compatible with Windows XP, Vista, 7 and 8.